The world is a changing place. The political, scientific, and funding landscapes in which we operate are all evolving, as is the food security challenge. This shifting context makes developing a new Global Food Security (GFS) programme strategy quite complicated. On the one hand many food security issues remain the same and irrespective of the context still need to be addressed. On the other hand, the way in which research could best be used to address a particular challenge will depend largely on the context. Whilst the latter is probably true in general, the rapidly changing nature of the world we live in gives pause for thought. In GFS, we focus on where we can add value to partners’ investments through an interdisciplinary, food systems approach. There are two key things that we aim to increase – coordination and collaboration. 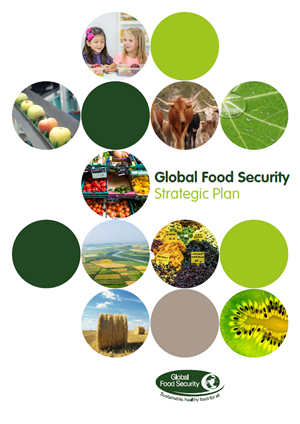 The UK public sector spends around £350M per year on food security research so it makes sense to coordinate this through a single shared high-level strategy. In addition, the partners cover different disciplines and different parts of the food system, so it makes sense to collaborate. 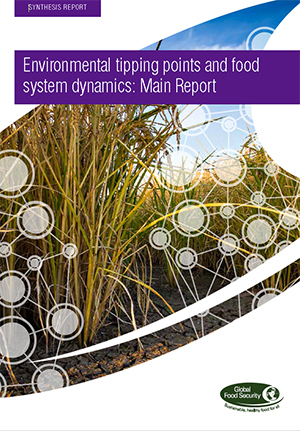 We also bring stakeholders together to develop common framings of food security issues, and to identify what we currently know that can feed into policy and practice, and what we don’t know that can help set the research agenda. On the last bullet point, it is important that we think not only of the risks that come with political changes like Brexit but also the opportunities. For example, how might we replace the EU’s Common Agricultural Policy to ensure positive outcomes for farming, the UK economy, health and the environment? Our recently launched GFS Policy Lab will start to get to grips with this issue. The food security challenge is evolving. One in three people suffer from some form of malnutrition, whether hunger, undernutrition, overweight or obesity. The food security challenge is evolving. One in three people suffer from some form of malnutrition, whether hunger, undernutrition, overweight or obesity. It has been estimated that we will need to produce more food in the next 35 years than we have ever produced in human history. But at the same time there is decreasing land availability for agriculture because of increasing urbanisation, sea level rise and the need for negative emissions technology. It is clear that we will need to use every technology available, alongside best practice farming to sustainably increase production, but this has to be accompanied by demand-side measures on consumption and waste. Climate change will only act to move the goal posts – our recent report on environmental tipping points in food systems showed that a dustbowl in the UK is not inconceivable – gradual degradation of soil over time through intensive farming could break down the soil structure, and it only takes a couple of successive drought events for the soil to dry out and blow away, with the system tipping into a highly undesirable alternative and resilient stable state. Two recent global agreements have the potential to be game-changing for food security – the Sustainable Development Goals, which reinforces the need for sustainable consumption, and the Paris Agreement which reinforces the need to reduce greenhouse-gas emissions. 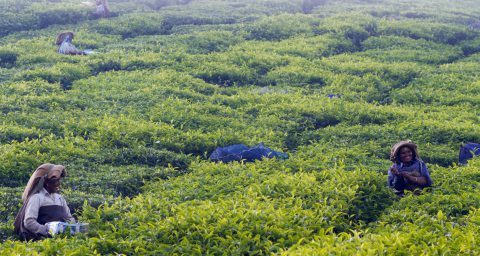 There is one key research question that arises from both of these: how can we re-design the food system so that it is healthier, more sustainable, and more resilient? We need to understand the win-win-wins across these three elements through a more holistic approach. Wouldn’t happen again? Modern agricultural practices could be storing big problems for the future. To return to the changing landscape, I have tasked our new GFS Science Advisory Group to think about recent game-changing events and developments that affect food security, and to consider how these might shape the research agenda. I’d be very interested in your thoughts on this; please add yours in the comments section below. And you can follow me on Twitter! 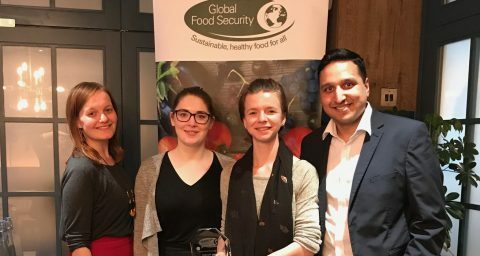 Riaz Bhunnoo is Head of the Global Food Security Programme, leading GFS activities in partnership with the UK public funders of food security research and other stakeholders. 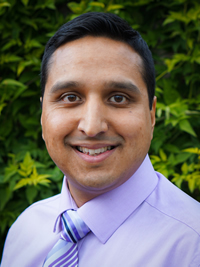 Riaz has worked at BBSRC (who lead communications and administration of the multi-partner programme) since 2005, and in that time has also undertaken a secondment to the RCUK Executive Directorate to work on cross-Council research coordination and policy. Riaz is a strong advocate of interdisciplinary working to tackle the biggest challenges facing society.